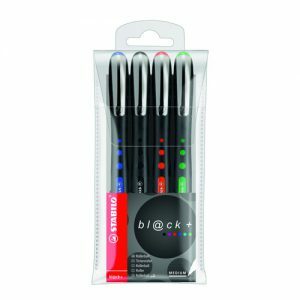 A good pen can be hard to find and with rollerball pens you will be able to write effortlessly! From students to everyday use you don’t need to look any further. Looking for the best rollerball pens for uni? You’ve found them. Our range of Stabilo rollerball pens are the best pens for lectures and make taking notes really easy. So if you need a pen for quick handwriting a rollerball pen is a great option. Rollerball pens use a ballpoint mechanism for writing with ink that often is gel ink or water-based. Writing with a rollerball pen requires less pressure which improves comfort for those with lots of writing to do!